Move over Omnibot 2000. Unboundable Robotics is selling a “mobile manipulation platform” called UBR-1. Robotics enthusiasts can turn it into an exercise buddy, go for a stroll with it and most of all use it as a test platform for their experiments and research. UBR-1 has a 4th generation Intel Core i5 CPU, 16GB of RAM, 250GB SSD storage and WiFi a/b/g/n connectivity. It also has three USB 3.0 ports, a Displayport and an Ethernet port. Its arm has seven degrees of freedom and can carry up to 3.3lb. 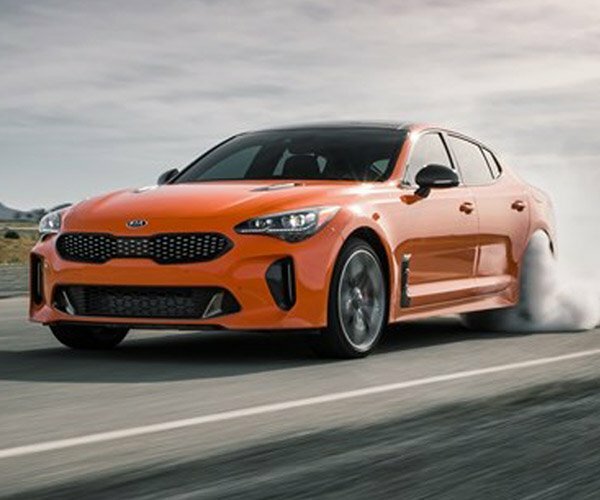 It also has a drivetrain that lets it go up to 2.2mph. 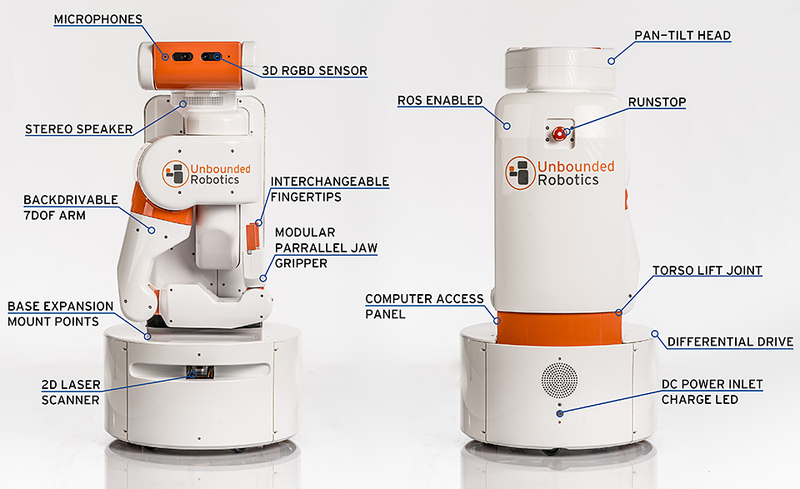 UBR-1 is fully compatible with Linux and the popular Robot Operating System (ROS) and can be programmed via SSH. 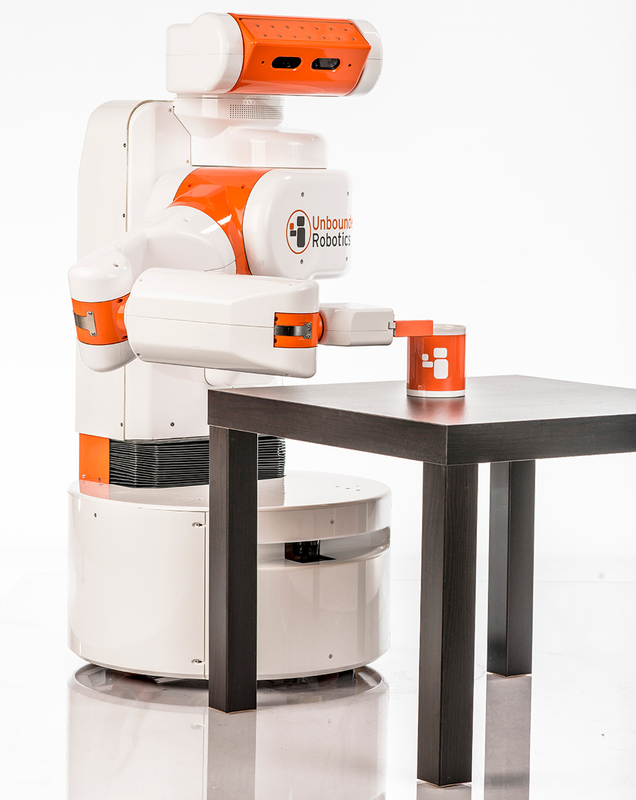 Program your other robot butlers to contact Unbounded Robotics and order UBR-1 for $50,000 (USD).